Chaga benefits your body in unique ways. This edible mushroom provides a higher concentration of antioxidants than any other food and is an extremely good vegetarian source of amino acids. In a recent study, researchers discovered that chaga extract causes cancerous liver cells to stop dividing. 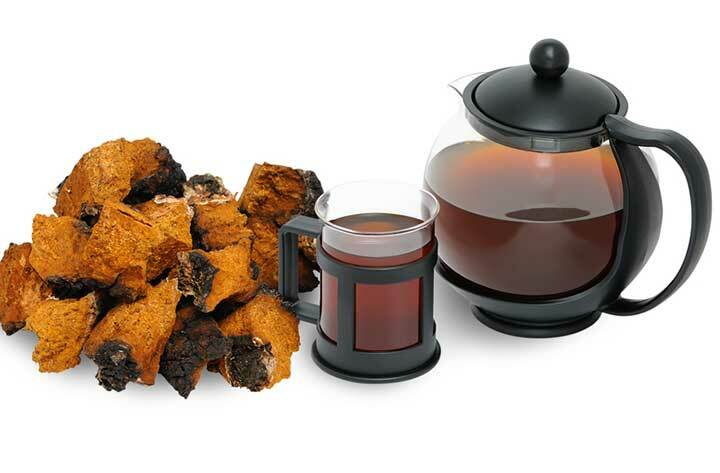 Chaga is a type of mushroom that grows on birch trees in northern climates. It survives by extracting nutrients away from the birch tree and concentrating them into itself. The medicinal use of chaga was first documented over 4,600 years ago in Asia, and modern research is confirming its therapeutic qualities that natural healers have known to exist all along. Chaga benefits the body because the mushroom contains high concentrations of B vitamins, flavonoids, phenols, copper, calcium, potassium, manganese, zinc, and iron. Most notably, chaga contains the very powerful anti-oxidative enzyme called superoxide dismutase (SOD) in quantities over 10 times that of most SOD pills. If you maintain a good paleo, vegetarian, vegan, or Mediterranean diet, then you are most likely satisfying your body’s need for 95% of the vitamins and minerals also found in chaga. What makes this herb most unique is its extremely high concentration of SOD. According to research conducted by Tufts University, and presented at the National Institute of Health’s Project Expo in 2003, chaga provides 20 times more active SOD than the next strongest medicinal mushroom (agaricus). The study also found that chaga has 3 times more antioxidant power than the next strongest food of any kind (wolf berry). So according to the study, chaga is the #1 best antioxidant source in existence. Additionally, chaga provides 19 of the 20 amino acids required by humans, making it a valuable supplement for vegetarians and vegans. Free radicals are harmful molecules that contain unpaired electrons—which is unusual because electrons typically come in pairs. Thus they are highly reactive and can even scavenge electrons from other molecules making more free radicals. When this occurs in the body in excess, it results in damage to DNA, proteins, enzymes, and cell membranes. These effects can lead to numerous biological problems, including the initiation of cancerous tumors. This is called oxidation and is the reason why foods rot, why animals age, and why metals rust. 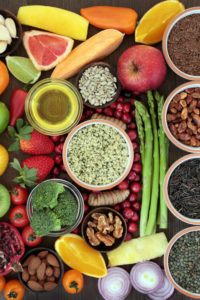 Antioxidants are molecules with extra electrons that can donate them to free radicals. This neutralizes the free radical, and renders it inert before it can cause damage. In the case of the enzyme SOD, superoxide dismutase is arguably the body’s most crucial antioxidant, as it is responsible for disarming the most dangerous free radicals of all: the highly reactive superoxide radicals. Thus, providing your body with a high concentration of antioxidants is essential to keeping your cells intact and healthy, and chaga is proven to be an excellent way of doing it. A study published in the World Journal of Gastroenterology, researchers discovered that chaga extract causes cancerous liver cells to stop dividing. Higher doses of chaga extract were shown to kill nearly 60% of HepG2 cancerous cells. The chaga does this by activating enzymes that cut apart portions of the cancerous cell, leading to cell-suicide. In another study, scientists found that chaga can also cause the death of cancerous lung and colon cells. Both studies concluded that while the chaga extract was lethal to cancerous cells, it was completely safe for normal cells. Chaga tea can be brewed in a slow-cooker by adding 1 ounce of raw chaga to 1 gallon of reverse osmosis water. Cook the mixture on low heat for 4 to 5 hours, and add additional herbs or spices to taste. To take chaga by extract or tincture, drink 8 drops in water twice per day. Raw chaga is inexpensive, and can be found online, and at most herbal stores. Haytowitz, D.B., Bhagwat, S.A., Prior, R.L., Wu, X., Gebhart, S.E., Holden, J.M. 2007. “Oxygen Radical Absorbance Capacity (ORAC) of Selected Food.” Tufts University Dept. of Health Sciences. Boston, MA. U.S. Dept of Agriculture, National Institute of Health Project. 2003. H. Sharma, M.D., and C. Clark, M.D. From Contemporary Ayurveda. (Edinburgh: Churchill Livingstone, 1998). Int J Med Mushrooms. 2011;13(2):131-43. The Mycophile: Journal of the North American Mycological Association, 2006;47(1). add, amino acids, antioxidant, antioxidants, b vitamins, best antioxidant, calcium, chaga benefits, diet, food, free radicals, gastroenterology, health, iron, mediterranean diet, nutrients, potassium, spices, supplement, vegetables, vegetarian, vitamins, vitamins and minerals, zinc. This is excellent, thank you for being honest, and not hyping up the chaga benefits. Is chaga compatable with other mushrooms such as turkey tail and reishi? Should it work synergistically with these?